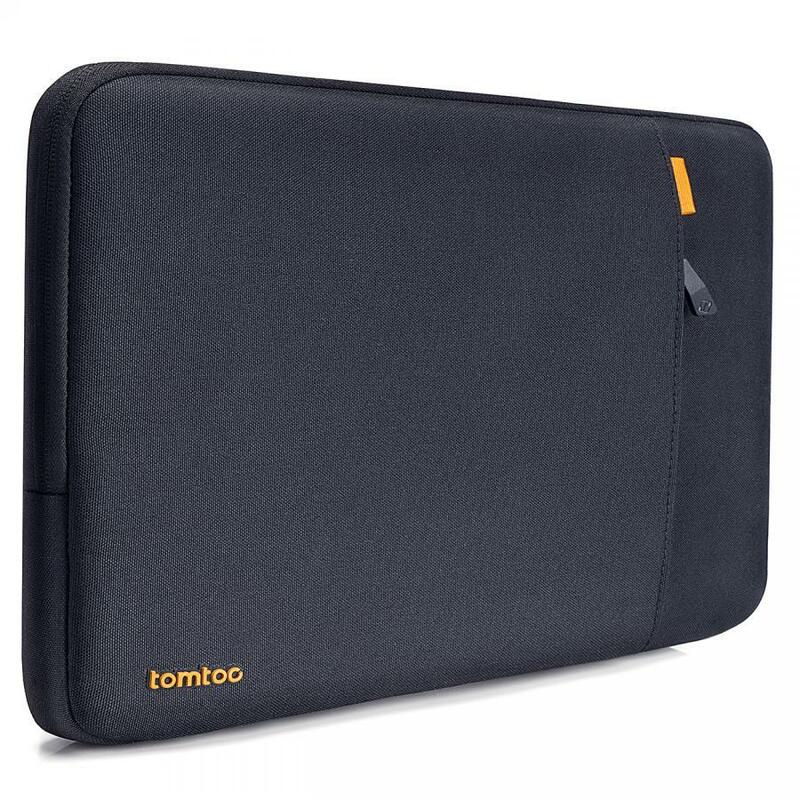 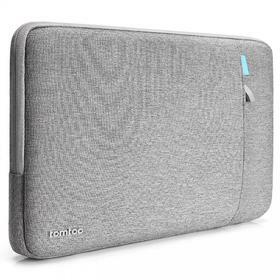 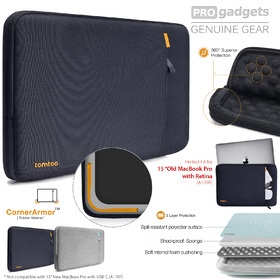 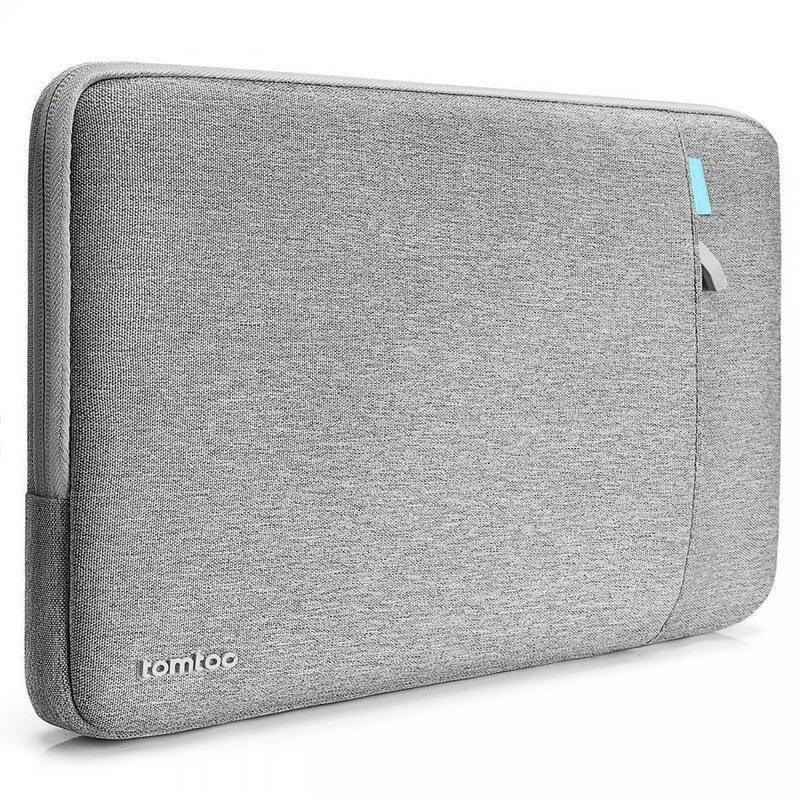 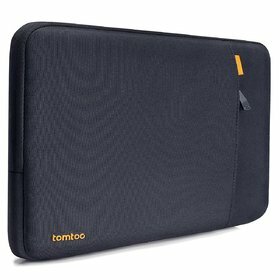 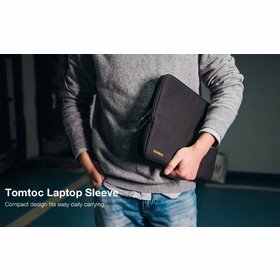 Genuine Tomtoc 360 Protective Laptop Sleeve for Macbook Pro Retina 15" / XPS 15"
Additional Storage - The sleeve also features a large, soft nylon side-mounted pocket with silk feel, providing additional storage space for smaller items such as your iPad, smartphone, or laptop accessories. 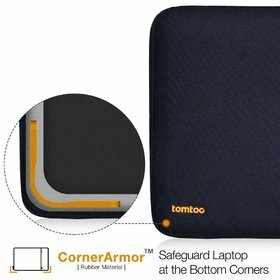 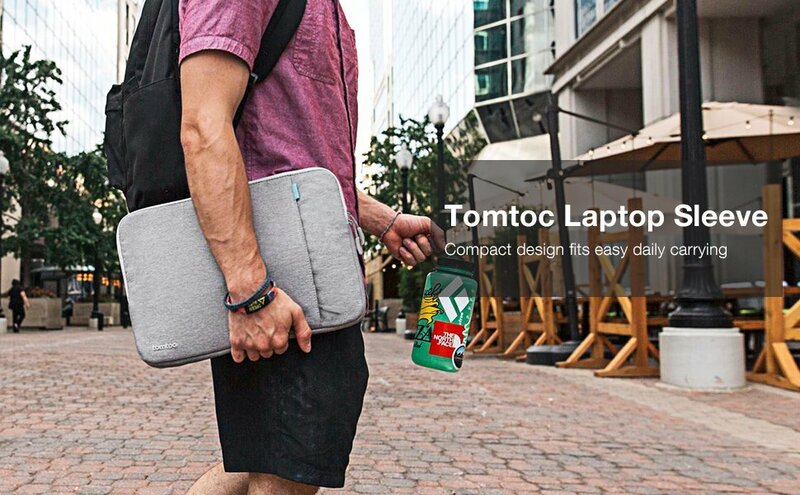 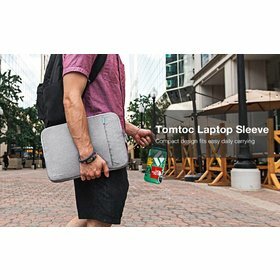 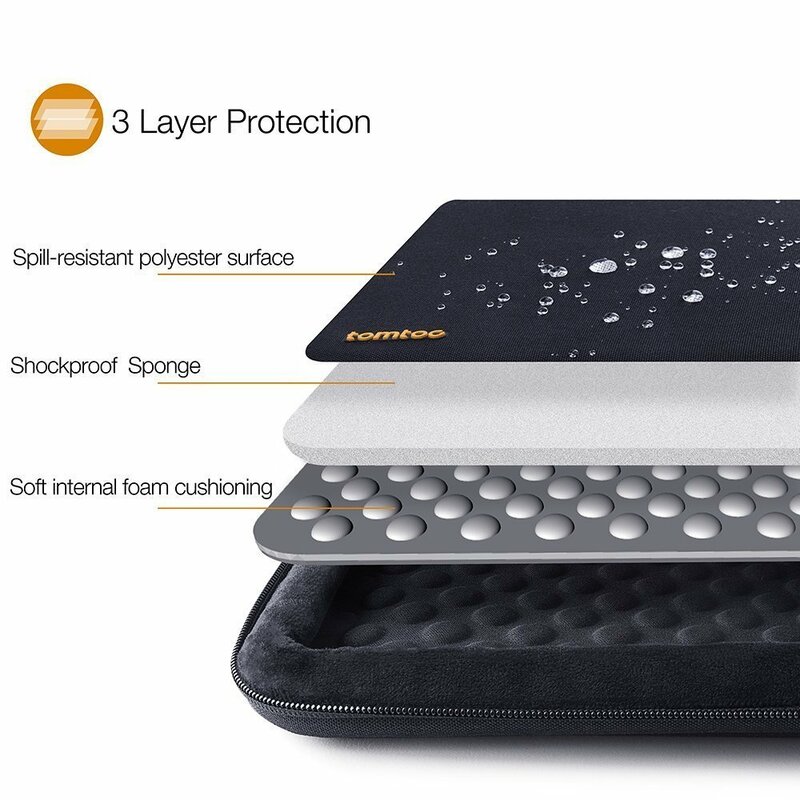 Tomtoc Protective Laptop Sleeve - This trendy, innovative protective sleeve utilizes the latest consumer technology to safeguard your MacBook from any unwanted bumps, scrapes and knocks which may result in damage to your device. The reinforced sides and bottom offer maximum protection, and it comes in a range of colors. 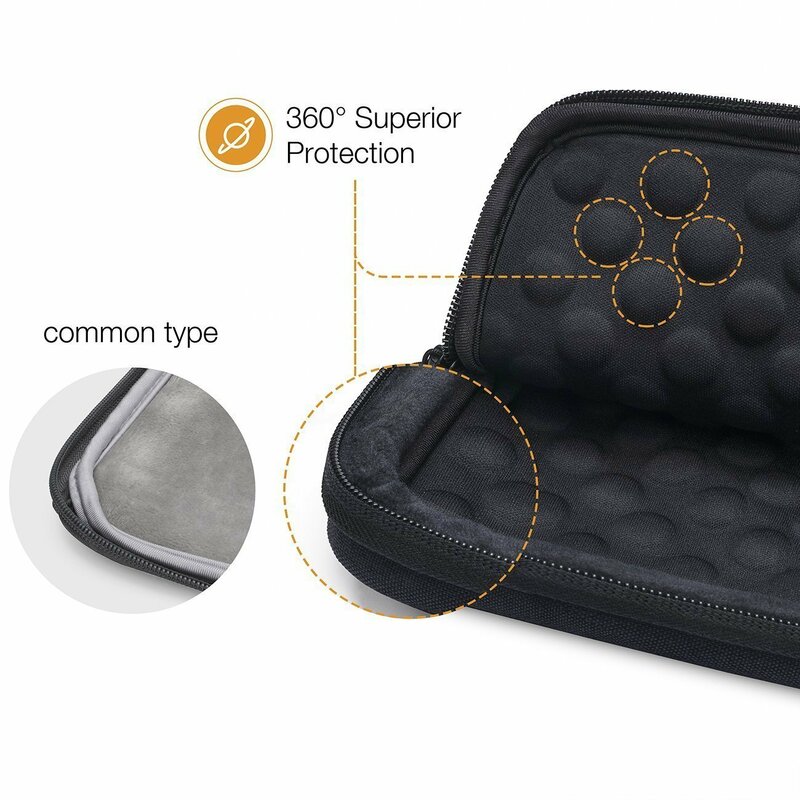 Take no chances! Superior Protection - A unique internal foam cushioning system consisting of raised circular components affords maximum impact and shock absorption for your device, while reinforced edges and corners offer 360° protection and extra padding in the bottom safeguards against any potential damage caused by accidental dropping. 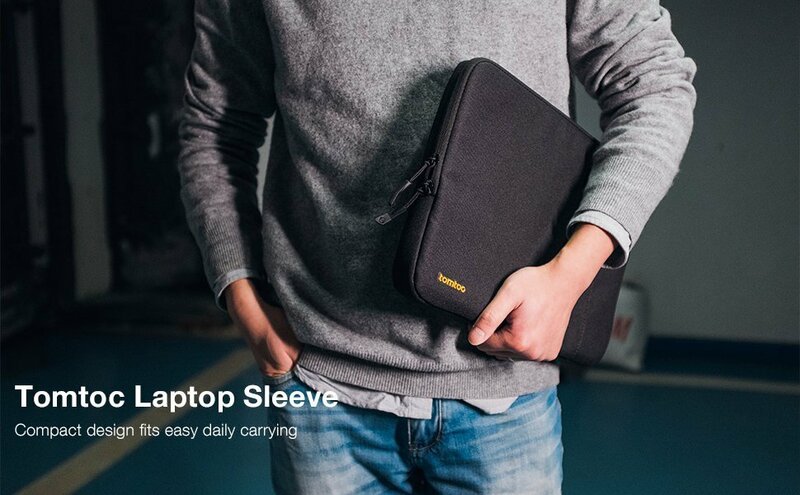 Overall Appearance - Its sophisticated and modern yet simple and functional cutting-edge design provides the perfect look for both business and leisure. 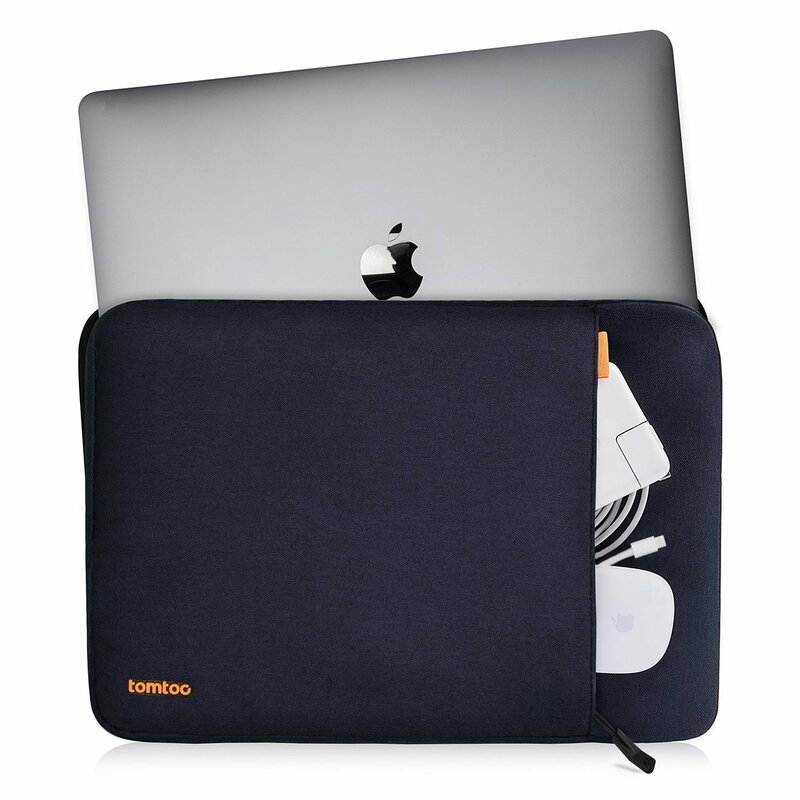 Choose from black, blue or gray to complete your look.